Leo will help you investigate opportunities. But Leo is a fire sign, which is not compatible with your water sign. This means that there are problems, but that doesn't mean they are crucial to the relationship. 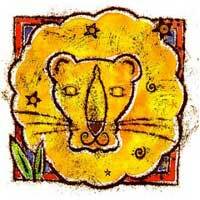 Leo is very ambitious, and with him you experience change, variety, physical attraction, and also mental stimulation. Sometimes there are disputes, and because both of you are represented by fixed signs, you are stubborn. Both will want to drive, to dominate and give advice. The secret is to do all these things in turns. Leo influences aspects of career, ambition, prestige and place in the community. Along with Leo, you gain fame, recognition and power; together you can build an empire! Understanding on the personal level is very different. The main problem arises when one wants to impose something on the other. 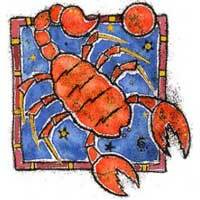 Leo is strong, just as Scorpio, Leo influences the desire to express, to lead, to dominate, to move, to come out on top. Along with Leo, you will not settle for 2nd place, you'll want to start an independent business, to give orders rather than receive them, set the pace. There is the possibility of travel, of discovery. Also the relationship is dominated by physical attraction and ambition. Many problems can be overcome because of the intensity of success or adventure, the anticipation and awareness that there are no limitations. In conclusion, even if it is not a permanent relationship, you will probably have everything to gain from Leo.